Coconut flour pancakes are hands down our favorite keto pancakes and we make them all the time. This delicious updated recipe is lighter and fluffier than the original, but with the same great taste and less than 3g carbs per serving. Make them ahead and refrigerate for easy breakfasts all week long. Video tutorial included! When it comes to coconut flour pancakes, you really have to pull out all the stops to get them this light and fluff. Coconut flour is not easy to work with. Have you ever tried it out? If you are used to cooking with wheat flour, you will find coconut flour to be very odd stuff indeed. You’ve never seen the like, I can assure you. Oh sure, it looks like flour, all powdery and off-white. And when you open the bag and inhale that coconutty goodness, you will think it’s divine. And then you set about trying to develop a recipe, and you begin to wonder what you’ve gotten yourself into. If you’re smart, you don’t delve in without referencing some other coconut flour recipes first. Because this isn’t like wheat flour. Oh no, coconut flour is a different beast altogether and will take you for a wild ride if you try to treat it like regular flour. It will soak up all your liquids and oils and stay as thick as porridge. If you add more liquid, you might finally get what seems like a typical batter, but it will fall to pieces when you cook it or bake it or fry it. It will resist you, simply out of pure spite that you thought it was in any way similar to wheat flour. Think again, my friend, it taunts you…think again. Check out my video tutorial and see how easy it is to make this delicious low carb breakfast. One of the tricks to working with coconut flour is that you need a lot of eggs. It can be shocking to see a pancake or a muffin recipe that takes 6 times the typical amount of eggs. Yes, it’s true, you can often use up a whole dozen eggs when working with coconut flour. And unlike some low carb, gluten free recipes that rely on a lot of eggs, your end result won’t be rubbery at all. Coconut flour is like a sponge when it comes to eggs and other liquids, it just keeps on soaking them up. If you add just oil or milk or water, you might get something that resembles a typical batter, but it won’t hold together at all. But add more eggs and you might just get something that works. I had made low carb coconut flour pancakes before and they were rather ho-hum. I wanted to attempt them again and make them better, simply as a gluten free breakfast option for my kids. I am not a huge pancake fan, but my kids adore them. So I consulted a number of different recipes, and then went with my gut. I knew the basics of working with coconut flour, so when my batter turned out too thick and porridge-y, I made sure to add more eggs along with more liquid. Still, I added them to the pan with some trepidation, wondering if they would hold together well enough to flip over, always a risk with gluten free pancakes. They were perfect! I also decided to try a trick I’d seen to make other recipes fluffier, and that is the addition of sparkling water as the liquid. You can use regular water here but if you can find some plain seltzer, it really does help. Keep them on the small side. 3 to 4 inches in diameter is about perfect, and makes for easier flipping. 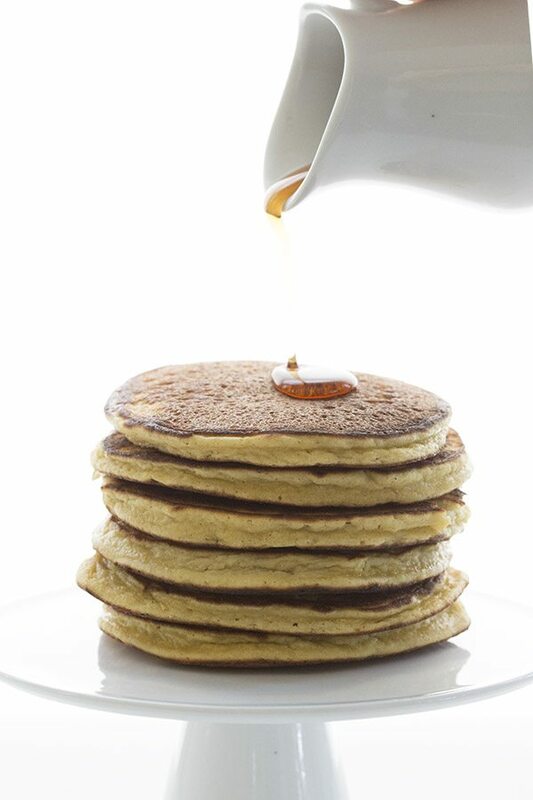 Just like regular pancakes, you want to see some little bubbles appear in the top before you try to flip them. Then carefully wiggle your flipper under the bottom side and flip over in one motion. Sparkling water really does help! So does a little extra baking powder. Different brands of coconut flour vary in their absorbency so it can be tricky to know if your batter is right. Try one mini pancake before you go and do them all. The batter shouldn’t be so thin that you can pour it. You should have to scoop it onto the skillet and then spread it into a circle. If your batter is too thin, simply add another tablespoon of coconut flour. If it’s too thick, add another tablespoon or two of water. Kid-friendly keto pancakes: The coconut flour pancakes were really good and my kids didn’t distinguish them at all from regular pancakes. And I enjoyed them quite a bit too, with some butter and sugar free maple syrup. I will tell you, this coconut flour pancake recipe is a keeper. 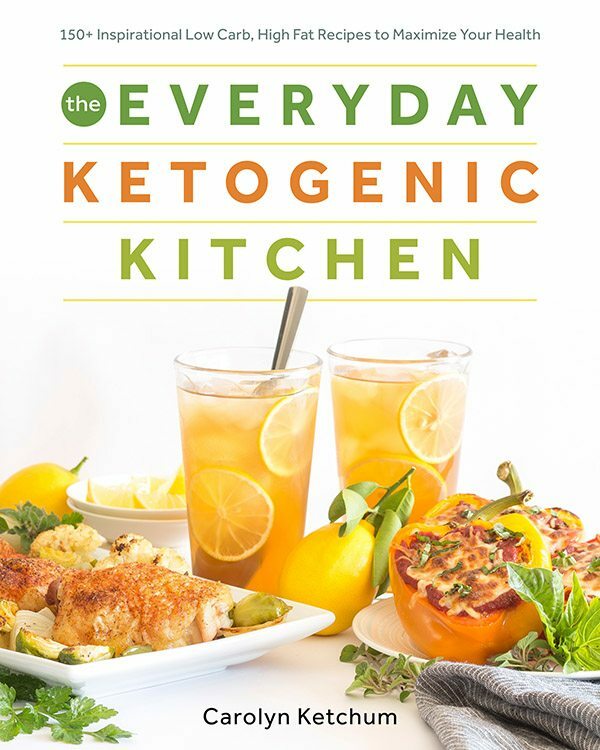 This recipe is featured in my new cookbook The Everyday Ketogenic Kitchen. Grab your copy today! The best low carb coconut flour pancakes are now even better! Lighter, fluffier, with the same great taste. A delicious grain-free keto breakfast recipe. In a large bowl, whisk together coconut flour, sweetener, baking powder, and salt. Add eggs, butter, and vanilla and stir to combine. Add sparkling water and whisk until smooth. Let batter rest a few minutes to thicken*. Heat a large skillet over medium high heat and brush with vegetable oil or melted butter. Scoop two or three tablespoons of batter onto skillet and spread into a 3 to 4 inch circle. Repeat until you can't fit any more pancakes into the skillet (you should be able to get 3 or 4 in). Cook until bottom is golden brown, top is set around the edges, and a few bubbles appear in the top. Flip carefully and continue to cook until second side is golden brown. Remove from pan and keep warm on plate or baking sheet in oven, while repeating with remaining batter. *Cook's Note: Due to variations in coconut flour, your batter may be too thin or too thick. If your batter is too thin, add an additional tbsp of coconut flour. If too thick, add a few tbsp of sparkling water. Your pancakes may appear flat when cooking on the first side but puff up when flipped. I have started using teff flour and a blend of GF flours and have much better results than with coconut flour. Using Avocado oil and egg replacer, and they taste like normal buttermilk pancakes rather than coconut. Unfortunately, teff is NOT low carb. Not for meeeee! I use coconut flour because low carb, NOT GRAIN. Teff an GF flours are high carb. Coconut flour is not. Why did you come on a keto recipe, and complain that it must have carbs? Anyone who wants high varb crap can get it anywhere. This recipe makes great *keto*/low carb pancakes! Thanks! Thank you so much for this recipe…a real low-carb keeper. I didn’t have butter, so I used canola oil instead, but only 2 T. I also increased the vanilla. I have eaten them both with strawberries and sugar-free syrup. Either way, delicious and very filling. I froze the extras, and then just pop them in the microwave for a minute and a half as needed. Thank you again. Coconut flour is really tricky to work with. Recently, I came up with a coconut cupcake recipe after talking with someone in Bob's Red Mill test kitchen and they gave me some tips. I mixed the coconut flour with almond flour and brown rice flour for a lighter texture. That way, you don't need as many eggs either. Could you tell me what the ratio was? How do the ingredients change when you add the almond and brown rice flour? How many eggs? Just remember that brown rice flour is high glycemic load. Will raise blood sugars. I’d rather do straight coconut flour. That and eggs are much better for me than adding GRAINS. Every time I read your posts I wish I lived closer to my family so I could make what you've made for them. My brother, who has been carb-free for over fifteen years, would flip for these and my mom, who's just been diagnosed with diabetes, NEEDS them. These look perfect Carolyn! Great job on figuring out what sound like an incredible recipe! Spiffy, look for Truvia, it’s erythirol. i found it next to the splenda and stevia in the baking isle of my superstore, sobeys and wal-mart. it’s about $6 for a small container, but it says on it to use 1/3 the amount you would normally use. it’s really sweet. Sometimes when using a recipe calling for all splenda, i will replace a few tbsp with a few tsp of truvia, that way i don’t get that aftertaste. PS: you don’t want the blend, that one is half sugar. it’s also cheaper. Oh, but they do look light and fluffy! Those are truly gorgeous pancakes. Oh wow, I must try these. So gorgeous and coconut is one of my faves. You did a wonderful job with these. Hey Erin, you can make the pancakes with sugar if you like! That would work just fine. I was going to ask the same thing. Glad real sugar is OK. I make pancakes with 1/3 part almond flour, 1/3 part coconut flour and 1/3 part all-purpose wheat flour, plus some ground flax seed. I am going to try these for sure. Sorry, but why would you be reading these recipes if you want to substitute gluten-free and sugar-free ingredients with sugar and wheat? I’m sorry, N, is there a law against reading a recipe that is gluten free if one eats grains? I and many others eat grains, all be it, only healthy grains but I personally use many types of flour and interesting healthy options and alternatives, enduring that I stay away from processed food-stuffs. It is rude and arrogant to tell someone, and on a lovely and positive public forum that they have not business reading a recipe. The author of this site is evidently a passionate cook and cares about food. She clearly puts a lot of care and effort into it and I am sure is absolutely thrilled that it is accessible to and enjoyed by many. Inclusion goes both ways, remember that. Your choice of diet is your right, and it is your business, and I and others would not ban you for reading a recipe. We all share the right to make choices. Please think before posting negative comments. Well said. While I don’t espouse grains or sugars, I figure my readers are all adults and can choose for themselves. Ok great! Didn't realize that was a sugar substitute. Out of the loop. I am making these now, but the batter is pretty runny…they are tasty, but are more like a crepe than a fluffy pancake. Added a bit more flour and now they are behaving. They are great! The batter is supposed to be thin, but not watery. I think it may be the brand of coconut flour you are using. I just tried them and had the same problem: very thin batter and the pancakes are flat like crepes. Delicious; but it must be the coconut flour. I’m using Bob’s Red Mill coconut flour. The longer the better sits, the thicker it gets, but it still makes very thin cakes. Delicious, though! There’s something else going on here, it’s not the Bob’s coconut because that’s what I use. Are your eggs extra large? Hard to know but next time simply add another tbsp or two of coconut flour. We might be using different brands of coconut flour. What did you use? Sometimes that makes a difference, I think. Oh yay, so glad you liked them. I wonder if different brands of coconut flour behave differently? Awesome looking pancakes, just how I like them..Never used coconut flour, only oil which I love! Thanks for asking/answering my question! I was wondering about erythritol myself! never heard of it. We have Stevia in our house, so I'll try it with that. I have all hte other ingredients. Just got coconut flour and am trying different things for low carb! Such a find! Plain stevia will work fine as a sweetener, but it does have a little bit of a licorice-y aftertaste. Just FYI. I don't mind it but some people do. Hi Gabriela…I used Bob's Red Mill this time (I usually use Tropical Traditions but both are quality brands). It has 4 g of carbs per tbsp (8 per serving of 2 tbsp) and 2.5 g of fiber per tbsp. It worked beautifully in this. I think Tropical traditions may have more fiber per serving but I bet it works well too. Might have to adjust the liquid ratio. I should play with that one a bit! We had these for breakfast this morning and they are exactly as described and photographed! I no longer have to search for a pancake recipe, Carolyn. My very picky teenager asked what was different and I just said, 'oh, they are make using coconut flour'. He's had real maple syrup while husband and mine were with the Nature's Hollow Sugar Free Maple. Thank you. And I am experimenting with refrigerating the batter for the last four pancaked in the next few days. Can't wait to see if it works. did saving the batter work?? and how many days were you able to store it in the fridge? they look wonderful and fluffy. I will have to give coconut flour a try! Looks wonderful, Carolyn. I'm curious to try them. Oh yay, how wonderful. I can't tell you how good it makes me feel to read that someone tried a recipe and it worked out well. It makes my week! I've been loving coconut flour lately too, but you're right it's not like wheat flour at all! I love the idea of using coconut flour in pancakes. I am definitely going to have to give this a try. FYI, Bob's Red Mill has 4 carbs per TWO tablespoons, at least that's what my bag shows and what their website shows, for the organic. Wow! Gorgeous pancakes and definitely light and fluffy – something my pancakes definitely are not! A wonderful healthfood store opened near my place and now I am going to see if I can pick up these ingredients. Thanks for the recipe. They taste wonderful! Nice thank you! Gluten-free pancakes were the first thing I learned to make when I went GF. Without guidance it took 2 tries to get it right, wish I had known about your blog before I attempted them. I have been getting up the nerve to work with coconut flour. These look perfect! Just made these and they were wonderful!! I left out the sweetener and the cakes were still yummy as pancakes and They work great for bread for my PB sandwiches. Tried these today and they were a huge hit and really satisfied my pancake craving! Husband actually made them and said that while the batter started out thin, it thickened up as he let it set for a minute so there was no need to add more flour. There is a tiny hint of coconut flavor. For those starting out with CF. I hate coconut, but the hint of coconut I get when using the flour doesn't bother me at all and I have made several recipes with it. Thanks for the great recipe! These are indeed light and fluffy, although it felt almost like eating a fluffy omelet. Is there a way to counteract the taste of eggs? Any tips? Try adding a tsp of lemon or lime juice. These were awesome. I have worked with coconut flour and hated it most of the time! Until these. I use raw cows milk and added about an extra tablespoon of coconut flour to get them to be thicker and fluffy. Glad to finally have a low carb pancake!! My kids devoured them (age 2 & 5) and so did I, but my husband did ask what was different about them. He’s what we call a picky Pete haha. I made syrup by boiling 1/4 cup of water, whisk in 6 packets of Truvia until disolved then added maybe 1/4-1/2 tsp maple flavor and a pinch of xanthan gum. Such a treat!! Would you mind if I post this recipe under the recipe section of my forum? I’ll give you full credit of course just wanted to make sure before I did. I’ll add a link to your blog as well. Thanks! Made these this morning – happy to try a coconut flour recipe – I find almond meal too meal-y! These are much fluffier too. Used a combination of coconut milk/almond milk to use up what was in my fridge. Also found adding a wee bit more flour worked best. Best textured pancake I’ve found since going Paleo 10 months ago! Made these today. Both my husband and I loved them! These are the first LC pancakes we’ve had! I used Coconut Secret flour and substituted sugar-free vanilla coconut milk for the almond milk since that’s what I had opened. I didn’t have to make any modifications to the recipe at all. Thanks for another great recipe! Thank you very much for this recipe. I translated it in german. It smells really good and my daughter can even distinguished it from a really pancake. I write the german recipe on my facebook blog. These look perfect. I can’t remember the last time I had a pancake. This low carb diet made me forget about them. Thanks! Is there a difference between Coconut Powder and Coconut Flour ? For instance, is the Powder made from dried Coconut Milk, and the Coconut Flour from the flesh/meat ? And would the Powder be soluble and NOT be ‘defatted’ whereas the Coconut Flour IS defatted but would not be soluble ? We loved these! Finally a yummy low carb pancake! Thanks so much for the recipe. Made these this morning after months of my own experiments – your recipe is just wonderful! My husband loved these pancakes! My go-to recipe! Just made these. Didn’t have baking soda, the sweetener specified or butter. Used honey and EVOO and these were great. Ended up adding TBS more coconut flour to make them thicker but that is a personal preference. Great recipe, thank you so much! I have recently started transitioning my family from processed foods, GMO’s, sugar, grains, etc. They are not very happy about it so I am doing a LOT of searching for recipes. I was a little nervous trying this recipe because I do not have a lot of experience with coconut flour. My hubby was not impressed, but our nine year old daughter and I liked the pancakes (I put chocolate chips in hers)! I put fruit on mine and think these will be a great alternative to white/wheat flour. Thank you so much; I look forward to trying more recipes. I always mangle the first pancake! WOW. I am STUFFED! I just finished making and eating these – boy did I miss eating pancakes! I was diagnosed w/Type 2 a year ago. This was my first attempt at working with Coconut flour and I would say it was a definite success. After reading the comments I used regular whole milk (didn’t have anything else), and I used Splenda instead of the other sweetener listed (never heard of it), but halved the amount. I also doubled the vanilla amount. I definitely smelled that “eggy” smell when cooking them but to me they didn’t taste “eggy” and I didn’t taste coconut at all. Oh, and to successfully prevent lumping, I sifted the dry ingredients. I used Bob’s Red Mill Organic/High Fiber coconut flour and didn’t have to add any additional flour – the 1/2 C was just right. Ate them the way that I used to, smeared some peanut butter on them and topped off with syrup (now sugar free). AND these are so filling that I didn’t/couldn’t eat as many pancakes as I used to, lol. I love pancakes with peanut butter. Nummy! I think I’d check out erythritol first to see if you’re comfortable using it. Can’t you just use sugar??? Hi Thom…to whom is this comment addressed? This is a low carb blog, so most of my readers avoid sugar. If you research erythritol, you will find it’s a natural substance found in fruits and fermented foods. It’s no more processed than sugar and most of us are eating it without knowing it anyway. Yes, you can make these with sugar, but that would rather defeat the purpose. I See the carb intake, but does anyone know the calorie intake? You absolutely DO have the right to call these light and fluffy! They were amazing– my husband has been asking for pancakes, but I can’t eat gluten and am trying to stay very low carb. We enjoy the eggy-crepey cream cheese+ egg riff, but we wanted something more true to the classic American breakfast bread. These were so, so, SO good. I served them with a thin layer of cream cheese in the middle of two pancakes. Thanks so much for this recipe! I made these this morning and they are delicious! My batch however made 24! I used a smaller ice cream scoop to place them on a griddle. They’re still a decent size and I’m going to try freezing them to use as needed. I can’t wait to try some of your other pancake recipes! Thanks for the blog! Also, I sift all my coconut flour whenever baking with it. Do you do that with any of your recipes? I don’t, actually, although I know it helps a lot. I am just a bit lazy about it! Hmmm, might be. Might also be different types of coconut flour. I think next time, add another tbsp or so to see if you can thicken up the batter a bit. I am wondering if anyone has tried making this with egg substitutes? Flax or chia? I was told to stay away from any recipe that required more than 3 eggs when I sub but I would really like to try these. I just did it with 3 eggs and 3 eggs worth of egg substitute and it worked just fine. These came out just great-loved them! I’m off flour so I never thought I’d enjoy pancakes again. Thank you!!! Just made these pancakes for my mom and sister. I mashed one banana and put it in the batter, cut out the erythritol and used only 4 jumbo eggs. They were delicious and I had them with sausages! Thank you Carolyn! I used Bob’s Red Mill coconut flour and the consistency was perfect. Carolyn, thank you for this recipe, you’re such a wonderful LC cook, I’m enjoying recipes in LCing with Friends!!! I subbed coconut milk (the milk cooler type, not canned) for almond milk and replaced 1-2 Tbsp of flaxmeal for some of the coconut flour and they came out wonderful, even held well in the refrigerator! Could probably work like crepes, if more liquid added. These came out well and were easy to make. First pancake in a year! Thanks for a well thought out recipe. This was the first time I had made a low carb non meat dish that turned out well. I’m amazed. I have a bit of a sweet tooth (probably what got me into trouble in the first place) so I added a bit more erythritol and cinnamon and they were absolutely fabulous!!! Thank you so much. These sound delish- I can’t wait to make them! What is a good sugar free syrup? I really like Nature’s Hollow. That’s my favourite in terms of flavour and consistency. These were incredible! I made them for my mom for Mother’s Day and it’s the best grain-free, low-carb pancake recipe I’ve ever tried (And I’ve tried many). I will definitely be saving this recipe. I’m not usually inclined to make comments..but I just HAD to say- theses are GREAT!! I’ve been a low carber for yrs now..so sick of eggs every morning I can’t even describe!! I just tried these..read all the comments first. I mixed all dry ingredients in one bowl..all the wet in my Ninja food processor…I didnt have almond milk, so I used light cream..added about 2 tbsps of sour cream for moisture ( on the spur of the moment, I added a good dollop of ricotta cheese too-not sure why) I pulsed the Ninja until it was blended very well, and then slowly added the coconut flour. I did end up adding a little more flour to thicken it up a bit ( I also used Nutresse sweetener instead of what the recipe calls for-again, thats what I had on hand) .. they came out awesome! I didnt use syrup on them as I havent found a sugar free one that I like..only had salted butter- that was too much- so I used just a VERY small amount of cream cheese spread on top- not enough so that you can actually taste it, just adds a little moisture that made them very nice. I got the brilliant idea when I had used about half of the batter to add coco powder to the mixture ( I added more nutresse too so as to offset the bitter unsweetened coco powder) ..in one word..DEVINE!!!!! I am one happy ( and FULL) woman right now!! Thank you SO SO much for sharing this recipe!!! I have to say, I really like the idea of adding ricotta! Sheri, have you ever tried Joseph’s Sugar Free Syrup? It’s the best syrop I’ve ever had, even including regular syrup. 9 gm of carbs and it’s all from Malitol (sweetener). It is so thick when it’s cold that you can hardly pour it, just the way I like it. Website, in case you’re interested is josephslitecookies.com. My daughter was just diagnosed with IBS and cannot have gluten or dairy. Wondering if there is a good substitution for butter? Sure! Coconut oil is a great replacement for butter. These just might be my go-to weekend breakfast. I can’t wait to try other flavors. I’m thinking cinnamon with NSA peach jam will be next, or maybe blueberries & vanilla. I tried this recipe with coconut milk and subbed butter with applesauce and coconut oil and subbed eggs with flax meal and water. They didn’t work at all. My son can’t have dairy or eggs. This is probably the 6th recipe I have tried with coconut flour and egg substitutes and the product won’t bind. If I can get the thickness right it just won’t bind so the pancake is just a mush…. Like a hot cereal. I tried to make this using flax meal and water to sub eggs. I also subed butter with applesauce and coconut oil. I subbed milk with coconut milk. My son can’t have dairy eggs or most grains like rice and oats. My batter won’t hold up. It falls apart. I’ve thickened it and even added some starch. Still, no solid cakes. So I finally baked he rest of the batter and made a gooey not so tasty cake. Does anyone have suggestions for me? I will try the recipe again using eggs to see if that’s my problem. But my son still won’t be able to eat it. I am sorry, I don’t have any suggestions. It doesn’t surprise me that with all those substitutions, it didn’t cook up properly. Maybe the Ogran Egg Replacer ? I’ve also had a lot of success making banana pancakes. i use 5 or 6 very ripe bananas, whizz them up in a blender ( mashing doesn’t work), and then a couple of cups of almond meal and some coconut oil. You could sub in maybe 1/4 cup of coconut flour and half a cup of coconut oil. This might work better…. Good luck ! I know how hard it is cooking with very limited “allowed” foods. Oh my goodness! I made your pancakes tonight and they were fabulous. My guys were having waffles so I tried the mix there and success. Just used a little more batter than my waffle maker called for. The recipe made three big waffles and one 3-4″ pancake. I ate the pancake and one waffle and was full. I put the other two waffles in the frig to enjoy this weekend. Thank you, thank you! Oh, I used Walden Farms sugar free syrup. Hi! I’m gonna try these this weekend 😉 I was wondering if U think I can switch the almond milk with heavy whipping cream? I’d actually do have HWC and half water so they don’t get too dense! I substitute buttermilk for the almond milk. We make them all the time and they are great. Oh! I was looking to see if anyone tried these with buttermilk! I’m going to try that too! So happy to see a coconut flour pancake recipe with a decent amount of flour used, I’m hoping these won’t be as thin and eggy as most of the other recipes I’ve tried, the pictures sure make it look like these pancakes are more substantial. Keep in mind that coconut flours do differ a bit. Have some extra on hand and also have some extra liquid. 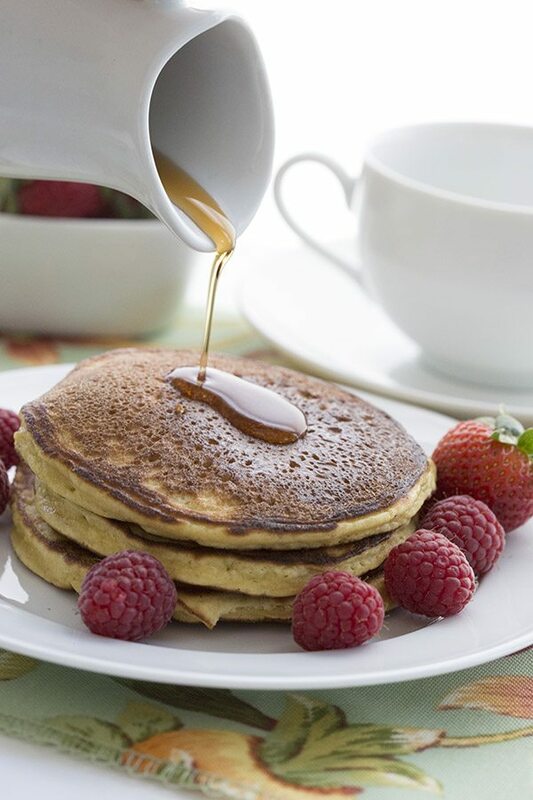 Do a test pancake and if it’s too thin, add another tbsp or two of coconut flour to the batter. If it’s too thick and hard to spread around the pan (I always use the side of my scoop to spread it into a circle), then add a tbsp or two more of almond milk. just made these after seeing your FB post and they were REALLY delish! Thank you for another awesome recipe! This is one of the best pancake recipes I’ve tasted thus far. And I’ve had a few. I real comes very close to the real thing. It’s a keeper. Thank you for sharing this recipe. These were delicious! I was afraid they contained too much butter, but they turned out perfect. I didn’t need to butter the pan. Took a bit longer than regular pancakes to firm up before I could flip them. I added some cinnamon, topped with strawberries and whipped cream. I find in a really good pan, I don’t need any butter or oil either. Mine have never been gritty and I always use Bob’s so I really don’t know what the problem is here. What kind of sweetener did you use? I used Stevia sweetener because I didn’t have Swerve. I thought it was strange too with all the glowing reviews. I can’t imagine that stevia would make it gritty, but I can tell you that I don’t think going all stevia would taste very good! What kind of stevia was it? It was just the Stevia used for baking. The powdered form, not the liquid. I even offered one pancake to my roommate and he ate a couple of bites, looked at me strangely and threw the rest out and he’s not even a picky eater. Anyway, I’ll continue experimenting with coconut flour but will only use it together with other flours so that it’s not the “main flour” in the recipe. I’m very reluctant to waste expensive ingredients. I think it’s got to be the stevia somehow, because the coconut flour pancakes are a favourite with everyone! They don’t taste off or feel gritty at all. Try them with another type of oil besides coconut. For some reason it does give pancakes a weird “mouth feel.” Go with canoloa or melted butter. Very nice recipe. One of the best glutenfree ones I’ve tried. Really fluffy and not doughy in the middle. I used cream instead of almond milk, and didn’t melt the butter. I whipped those 2 ingredients together a bit and added the eggs. I used a teaspoon of coconut sugar instead of erythitol. Cooked 75% of the time on the first side then flipped and cooked the remaining 25%. We’re back to carb watching after the indulgent holidays. But I wanted to make a special treat for Sunday morning breakfast. When I saw this recipe, I was so excited. The excitement was well founded, I made these pancakes this morning and they are wonderful !! Light, fluffy and coconutty. Can’t wait to have them again !! I tried these this morning. They are so much better than almond flour pancakes. My problem is no matter how long I allow them to cook, they end up slightly doughy. I have tried lowering heat as well as raising heat. What am I doing wrong? Your pancakes look fluffy. Doughy in the center? Hmmmm. What brand of coconut flour are you using? That might be it. You could also try reducing the eggs by one but I wouldn’t reduce more than that or they won’t hold together very well. Thanks! It’s our favourite too! These were delicious! Thank you so much for this and all your other wonderful recipes! You are most welcome, Kelley. New to coconut flour. Made these and they looked beautiful…but the young one asked me why I was feeding him egg cakes after tasting them. Added a few tbs fava bean flour-new to that too. (Idk why…I just like the texture it lends) another .5 tsp vanilla and several pinches of cinnamon. The adapted recipie got an “ehh” from the bottmless-pit-teen-child. Which does count as a win. I can’t wait to try them with some homemade strawberry sauce! Sorry to hear it. Not sure what made them so salty as no one else has really had this issue. If you used salted butter, that might have made them taste saltier. Also, if you use baking soda instead of baking powder that can make things taste saltier. Could these be made without the salt I wonder? Yeah ! for the first time I baked something with coconut flour that did not turn as a spongy dry disaster kinda cake. Thanks for the recipe ! Any suggestions on pancake toppings that would be low carb ? Thanks again for your fantastic recipes !!! Can this be done with egg whites, our sites it have to be the whole egg? I’ve never tried it with just whites. You’d have to add more to make up for the difference in volume. 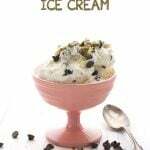 Could I use whipping cream instead of almond milk? Or would that be to thick? Too thick. Try half water, half cream. I love pancakes for supper! Do you have any recommendations for replacing the eggs used in this recipe? I am afraid not. Coconut flour relies heavily on eggs to get the right texture. People have tried it with egg replacers and it simply doesn’t work. These are amazing!! Thank you for getting me excited about low-carb cooking again. You are truly an artist with food. Well I. Itially accidently used half the coconut flour and the pancakes I made werer beautiful and delicate. Then I added in the other half when I realised my mistake and the mixture curdled !! So I panicked and threw in another 4 eggs …… And its stayed curdled !! So I cooked it up anyway 😀 Tasted FABULOUS – thumbs up from DH and three hungry boys. I’ve been looking for something I can put into school lunches which is tatsty and grain free and I’ve experimented with flax meal, cream cheese pancakes, oopsie rolls, psyllium bread etc etc and the were all either euw or hideously expensive, or both. But these pancakes are perfect 😀 I’m going to fill them with butter and Vegemite(a yeast spread, most people apart from Australians think its disgusting) and roll them up to make scrolls..
Not sure what you mean by curdled? I assume you mean it got thick and clumpy, which I suppose would happen if you added the coconut flour at the end. Hi Carolyn would these be ok to freeze? Thank you! Yes, I make big batches and freeze them all the time! Wow this is fascinating! I love coconut but have never seen the flour…I do work at Whole Foods so I’ll check next time I’m working..lol I love your introduction..and your persistence to make it the best you can! Thanks, Samantha. It takes some getting used to but it’s a great healthy ingredient! I finally found time to make these and we loved them! We have tried 2-3 other recipes over the last year or so and we don’t need to look anymore. My 7 year old told me to “never lose the recipe” and “make them all the time”. High praise from him since he hasn’t liked many of the low carb recipes I’ve tried. Now that I think of it, the ones he has liked have been from you! 🙂 Thank you!! Yummy! The best taste and texture coconut flour pancakes yet! Thank you. I saw an earlier thread where someone used Stevia and found it gritty. Is there another sweetner that you recommend besides Swerve? I’ve never heard of it/used it. Can I use Splenda or even regular sugar? Yes, in this recipe, you could use Splenda or sugar to replace the Swerve. Carolyn, your blog is a fantastic playground of temptations! 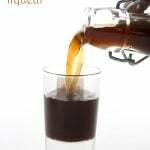 I want to make these soon and would like to make a sauce or syrup to complement them; I didn’t comb the whole thread, and a quick site search doesn’t seem to turn up any syrup recipes; have you tried making a syrup such as the one in the following link with Swerve instead of sugar? Do you think it will work?? With just Swerve, it will harden up again as it cools. You could probably sub in some xylitol to keep it more liquid, but as long as you serve it warm, it would be good. Carolyn, thank you so much for this recipe! I’ve switched to the low carb lifestyle 3 weeks ago and haven’t looked back. I’m amazed at all the delicious low carb recipes available. I’m eating more delicious foods than I’ve ever eaten and feeling myself becoming leaner and healthier in the process. Sadly, I was about to give up on low carb pancakes because I had tried a couple recipes that promised yummy results only to be very disappointed. Your recipe, however, proved to me I don’t have to give up pancakes to eat low carb. These turned out better than any pancakes I’ve ever made, including the high carb ones!!! I made sugar free syrup and added in some cream cheese just to thicken it up a bit and these were like eating an evil dessert!!! All I can say is…OMG!!!! You are a GENIUS!!!! I tried you recipe today and didn’t like how the pancakes came out … Don’t know if I did anything wrong. It tasted very eggy … almost looked like a coconut tasting omelette. Is it supposed to be that way ? It wasn’t as fluffy as yours either, it was even very flat. I did everything like you said, just used a different granulated sweetener … Any advice, idea on what went wrong ? Possibly the brand of coconut flour? I was wondering if that could be the coconut flour brand too … Unfortunately I only managed to find this one. It’s not very easy to find coconut flour here in Belgium. What brand would you recommend ? Maybe I can find it on Amazon ? Thanks for you answer anyway ! I always use Bob’s Red Mill. Just about to try these as my first ever attempt with coconut flour. Just wondering if anyone knows how long the batter will last in the fridge for? With wheat flour pancakes I will make a large batch of batter and use over a couple of days. I’m thinking maybe this coconut flour would need the addition of a bit more liquid the next day? I am sure someone knows! I think it will thicken a lot and you will need to thin it out. I don’t know how long it will last but as long as it’s refrigerated, it should be okay for a day or two. I made these pancakes yesterday to the approval of my family, who are, unfortunately, harsh critics now that I’ve started making LC foods due to a Pre-D diagnosis. They’re still used to sweetness, so I cut the erythritol in half and substituted some Splenda for the other half. It was a bit too sweet for me, so I’ll cut down on the Splenda next time. I also substituted skim milk for almond milk since I had that on hand. The pancakes did smell eggy, as previously mentioned in other comments, but didn’t taste like eggs. Overall, these turned out very well! The only problem I had was when I attempted to flip the pancakes; it was difficult to gauge how “done” the pancake was and fell apart when I flipped too early or was a little too brown when I flipped a little too late. Still, not bad for the first time using coconut flour. Glad they were liked well enough! If you keep them on the smaller side (no larger than 3 or 4 inches), they are easier to flip. I made these this morning, they made the kitchen smell beautiful, tasted great and leave me with a happy glow that my boys have had a nourishing breakfast ( while they thought they were having a treat) . thank you. This recipe may have saved me from Atkins diet disaster….SO good. We used about 1.5tsps Stevia and spread almond butter on top. Yum. Wish I could find the whole nutritional value but I am sooooo full and happy this morning!! Pathans you!! I mostly use stevia would that work instead of Swerve ? and would the amounts be the same? No, the amounts would definitely not be the same and I am not sure how much. what kind of stevia do you use? Powdered or liquid? Hi! I was wondering what you serve on top of your pancakes since syrup is full of sugar? But often I just spread mine with butter and eat them that way. Things you probably should have mentioned: ROOM TEMP EGGS, otherwise butter congeals and you get get lumps, and letting the coconut flour batter rest before you try to cook it, otherwise it’s thin. Yes, they would be horrible with an egg replacer. Coconut flour needs eggs. I have done this yesterday with wafflepan , It turned out very nice ! I was SO excited to find this recipe! My daughter LOVES to make waffles and pancakes, and I just can’t have wheat flour in the house. I’m going to try these with her and see what happens. I really like the Swerve sweetener. I like that it looks, feels, and measures cup for cup just like sugar. It even has a confectioner’s sugar version. I have been using it for a couple weeks, and it’s great. No after taste like most artificial sugars, and no digestive problems. It cooks really well. It will even caramelize if you want to make an apple dip 🙂 So glad to find this blog. I can’t wait to try more recipes! Thank you, a million times over. This recipe just saved “breakfast-for-dinner” night. I have gestational diabetes that has gotten ridiculously hard to control in this last trimester. Basically if I look at a carbohydrate, my blood sugar spikes way out of range (and that’s with insulin). I had a pity party all day today knowing tonight was breakfast night and that I wasn’t going to get to eat pancakes with my family. I found this recipe, whipped it up, and had 6 little pancakes, some eggs, and a small greek yogurt (and a relatively small amount of insulin). 2 hours later, I just tested my blood sugar and it is exactly on target. You have no idea how happy I am….and the bonus is that my super picky, texture averse daughter preferred these over the “regular” pancakes! Double win! I did make a small change: instead of the sweetener you suggested, I did 1 TBSP Splenda and 2 TBSP vanilla whey powder. They were super easy and very yummy! Thank you for saving dinner (and probably breakfast tomorrow)! Hi Lindsay, I am sorry to hear you have GD. I had it too and that’s how I ended up here as a pre-diabetic and writing a low carb food blog. But so glad my pancakes could save “Brinner”! I want to try this, but I have a question. Do you use sweetened or unsweetened almond milk? If you use sweetened, and I want to use unsweetened, I presume I will need to up the sweetener a bit. Thank you. These are a must try after I get the coconut flour. I didn’t have almond milk so I added tablespoon of heavy cream to @ cup of water and it worked out fine. They were good, good, good! Thank you for the recipe! That’s what I often suggest in place of almond milk. Glad it worked out! Tried these today. Followed the recipe exactly and, it’s not the the results were bad, but these weren’t pancakes. They were omelets. Taste and texture were exactly like a giant omelet. I use a high quality organic coconut flour (Anthony’s coconuts). I had better luck using a low-carb pancake recipe with peanut butter and sour cream. Flavor was much more like a pancake. Like some others here, I let the batter sit for just a bit and it started to thicken. Otherwise it ran to every corner of my medium-high pan. I’m glad others enjoyed this recipe, but wanted to pass along my experience. If I want omelets, I’ll make them without the added carbs. Hi Mindy. I’ have never used Anthony’s coconuts but they should not turn out at all like omelettes. I suspect it’s the coconut flour that’s the issue here. 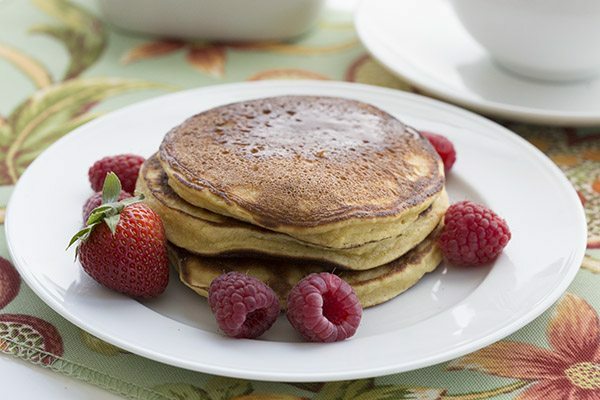 Most readers love these and find them to be exactly like real pancakes! I’ve been admiring your beautiful blog for some time now, and this morning I made your fluffy coconut pancakes: a revelation indeed! I’ve tried many a low-carb pancake recipe, and I’ve always been quietly miffed at the results. These, on the other hand, were spectacular! They looked, acted, smelled and tasted just like regular pancakes. Thank you so much! I’m from Australia, and we don’t always have access to the ingredients you have in the states, but I will be going to town with your other recipes after such a success! Thanks so much, Helena. Glad they worked out! Do you think using real milk instead of almond milk would help, or is it just the nature of the beast with all those eggs? Thanks for any input and your hard work creating everything! Not sure, I’ve never tried to squeeze mine, I just eat them! Could be your brand of coconut flour. But feel free to try real milk instead of almond milk. I made these this morning. I had everything except sweetener so I just left it out. The pancakes not only stayed together (yay!) they are so delicious! Made these for dinner tonight. Thumbs up from the kids! They couldn’t stop eating them; when I asked, “You’re not full yet? These are supposed to be very filling,” one of my kids replied, “No! These are light and fluffy! I need more!” So I laughed because he had no idea the recipe is called just that! But I have one question. In order to get these cooked enough to flip over, they get very dark, much darker than I would like and way darker than in the picture above. What am I doing wrong? I tried cooking on lower heat, cooking with more butter/less butter, but can’t figure it out. BTW, I’m making them silver dollar size, so quite small already. It gives the pancakes an almost burnt taste I’d like to avoid. TIA for any ideas. Hmmm, not sure why they’d be so dark. Try using coconut oil instead of butter, that might help. It may also be your pan. What kind of pan are you using for this recipe, Carolyn? A large skillet (nonstick) works but I also have a griddle that I put across two burners. Also nonstick. Could I use regular whole milk or coconut milk instead of almond milk? And honey instead of granulated erythritol? This recipe does NOT work. I’m sitting here making crepes now and what I REALLY wanted was “LIGHT FLUFFY PANCAKES”! This is a disaster and my whole family is starving here as I flail around mushy, thin, piles of batter in a pan. This was a mistake, and your recipe is terrible. Hi Ian. Have you read the comments? Most people had a great deal of success with this recipe so I suspect you must have altered something or possibly made an error. I have a question , can I use buttermilk or whole cows milk instead of almond milk in the pancakes ? Sure, but it will up the carb count. Hi there, I was wondering if this recipe could be used as is to make waffles or is there something that would have to be increased/decreased to make that work. Don’t want to waste all those eggs on a test run :). Hoping it has been attempted already :)……. I haven’t tried to make waffles with it but I do believe some other people have and it has worked. Loved these! Soooo fluffy and yummy, and we topped them with crunchy peanut butter, Lily’s stevia-sweetened chocolate chips, and sugar free whipped cream. Pics on my instagram <3 Thank you for posting! I made a half batch this morning for me and the hubby. I’ve found that when I’m trying a new grain-free recipe to keep in mind that it will not taste like the regular version. This recipe has a bit different texture but the taste is so very close. Adding 100% pure maple syrup made it even closer. This recipe is definitely a keeper. Does anyone have a recipe for sugar-free syrup made with natural sweetener? No false advertisement there! These are the best! I’ve tried a lot of keto friendly pancake recipe and they never delivered, but this one sure did! Thanks a lot! Smooth, filling yet not too heavy! Did I say I love them!?! So glad, Lena. Thanks for the feedback! Could I substitute coconut milk for the almond milk? Tried these this morning, indeed very fluffy however taste more like French toast and a bit eggy. Still delicious with sugarfree maple and whipped cream. If I can’t have gluten or dairy, would you say that coconut oil is ok to use in place of the melted butter? Do you think it would make a big difference in the texture? I think it should be fine. Avocado oil would work too. I made these tonight for supper and they were delicious. My only problem was flipping them, any suggestions? Make them no larger than 4 inches. Gently wiggle your spatula underneath. So crazy this works! I followed the directions to the letter and kept shaking my head at all the eggs. I saw the batter when it was all mixed together and thought, “Well, there’s a lot of wasted time and ingredients,” because i was sure it would never work. “Clearly she accidentally left a cup of some dry ingredient or another off the recipe. Then I spooned the first round into the pan and even then though I was making scrambled egg cakes rather than pan cakes. Then, as if by magic, they cooked into decently fluffy pancakes. Ingenious. Need to be careful on the cooking because I found they went from golden brown to black in about a nanosecond. A medium low heat worked better for me. Delicious, nutritious, amazing. Five stars. Yes, it’s amazing how they end up puffing up, especially when you flip them! We tried these today with a few modifications. I used 4 eggs, 1/2 C pumpkin purée, and 1/2 tsp pumpkin pie spice. They held together very well, and fluffed up. Hubby likes the flavor but still thought they were a little dry. Next time I will add some cottage cheese and put all the wet ingredients thru the blender and see if that helps the moisture. Thanks for a great recipe! I am always thrilled with a new recipe! Keep up the great work. I just made these pancakes, and I have to say that I’m actually mad at myself for not making these sooner. I’ve been saving your recipes on Yummly and each one I try is better than the next. Having tried my fair share of LC pancakes over the years, I was very skeptical that these could actually taste like pancakes but….WOW! They looked exactly like pancakes. They tasted exactly like pancakes. The mouth feel and texture were exactly like pancakes. The only slight difference I noticed was the subtle nuttiness of the coconut flour, which was a welcome addition. I wondered if I served these to someone who thought they were made with Bisquick or regular flour would even notice the coconut. I think I’m going to try adding a handful or so of chopped pecans (I LOVE pecan pancakes) to see if the slight coconut flavor melds with the pecans to give it more of a umm pecan-y taste. Thank you so much for this recipe and all the others! You make this lifestyle so much easier, and you’re greatly appreciated. Thank you, Tracey. And pecan pancakes sound wonderful to me! YUM! Thank you, Carolyn for another wonderful recipe! I made these about 4-5” and got 6 servings of 3 small pancakes each. We put blueberry sauce on top (blueberries simmered with lemon juice and Monin o’Free blackberry syrup) and they were excellent! I reduced the eggs to five since mine were extra large, and and used a mixture of whole milk and water for the liquid. I had to add about 1/3 cup more liquid to make the batter pour-able, and then I spread the pancake batter slightly with back of a spoon after ladling it onto the griddle. They took longer to cook than “regular” pancakes, but it was evident when they were ready to turn. I will freeze the leftovers if I can get DH to stop eating them! These pancakes turned out great for me and I wouldn’t even call myself a cook. Thank you! I made these yesterday and they are DELICIOUS! My hubby prefers almond flour pancakes but I can’t get with the nuttiness. I love these! Thanks for the recipe, Carolyn! Picky eater approved! That’s me. 🙂 Will be adding this to my recipe file. Made these this morning in a pinch, and these came out tasting really great! The only difference was I had unsalted butter to work with. I usually make mine with greek yogurt, and a few other things to get that eggy taste out but I didn’t have my usual ingredients on hand. Made some small changes since trying the original; reduced the almond milk, reduced the granulated erythritol, increased the vanilla extract, added maple extract and added stevia. Still delicious! I’ve been using a wide mouth canning jar top to make mini ones. Made 16 batches. I’m going to freeze these to see how they do. If I post this to the blog, will link back. Thanks for the inspiration! Had it this morning with two scrambled eggs, and two strips of bacon, and topped the pancakes with 1tsp organic maple syrup (4 carb/sugar). I am getting looked at for a few things (thyriod, diabetes, etc) so really trying to refocus on my eating more since I haven’t been feeling well past couple of months. Makes great waffles — you can achieve crispiness! I usually add some flaxseed flour to add fiber. Coconut flour is essentially all fiber, since it’s a ground fiber that remains after making coconut milk or oil.and even if you make it yourself from from whole coconut flakes, coconut has Loads of fiber. that’s the beauty of it. not much carbs and almost no starch. Yes, delicious. I like adding the flaxseed flour… I forgot to add the Swerve when making pancakes with this recipe and decided to freeze them to use for pizza crusts. Still fab. I just made these because I was craving some pancakes, and I love coconut so I wanted to find a coconut flour recipe rather than one with almond meal. I also added a little bit of unsweetened coconut flakes to the batter (maybe 2 TBSP). When I was mixing the batter, I was like ‘there is no way this is right, there is so much liquid’ but I was wrong, that coconut flour soaked it up and they were perfect. I have been on a low-carb diet for a few years and have been buying sugar-free pancake mix from the store (we only have pancakes maybe twice a year), and I didn’t really like it, but it also wasn’t a huge deal to find a recipe on my own, but I will definitely save my money and make these from now on, I loved how they were almost just like “regular” pancakes. Thank you so much for this recipe!!! Such a great review, thanks so much! They definitely have flavor, but I didn’t get a whit of fluffiness out of these pancakes 🙁 Guess I’ll have to keep making them (my family has NO objections) until I get it right. Do you think it would cause any problems to cut this recipe in half? Do the pancakes keep for freezing or for the next day? Hi! Do these taste eggy at all or do they taste like regular pancakes? Nope not eggy at all. I just tried these and I have to say, these are the best low carb pancakes I have ever attempted to make and have ever eaten! I am so impressed with all your recipes. Mine were not quite as fluffy as yours look, but this was my first time working with coconut flour. Excited to try more recipes! Just tried these with Bob’s Red Mill organic coconut flour and they were a winner! First time I’ve ever used coconut flour, also. I was craving some pancakes and these did the trick. I am going to freeze the extras for a quick breakfast or dinner. Now I’m going to seek out some LC syrup recipes. If you make them no larger than 4 inches and cook them 3/4 of the way on the first side. They flip well. Thanks, Carolyn! I just made these this morning, as I have been craving pancakes. They were delicious! The only changes I made to the recipe was using 5 eggs (that is all I had in the house) and added a tsp of cinnamon to the batter. Definitely a keeper! 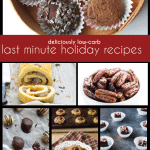 Thank you for providing all of these great low carb recipes, to make this lifestyle so much easier to navigate. I truly appreciate it! These were absolutely delicious. I served them with sliced strawberries sprinkled with Swerve. It is so nice, after two years of low carb eating, to be able to eat pancakes. Are these pancakes THM friendly and if not do you have a THM friendly pancake recipe? Yes, these work for THM. Hi! These pancakes turned out great! 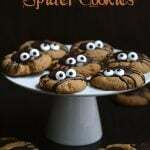 i had to use Splenda, but they were yummy…my picky eaters ate them up! Thank you. I tried the pancakes this evening (for breakfast tomorrow am) and only after I had all the ingredients I found that I only had 3 eggs but went ahead and made this. Really nice, used only 2 tbsp Erythritol as I don’t use a lot of sweetness. Really. Ice and fluffy, hope this is going to be the case tomorrow morning. I put some of my berry compost on (low carb) and tried one, enjoyable. Compost is rotted waste used to fertilize your garden, but compote is a fruit medley that’s fermented for a short while to bring out the juices and flavors. Hi,coconut flour is not available in saudi arabia can I blend dry coconut to make coconut flour ? No, that won’t work I am afraid. Coconut flour is the dried leftover coconut meat after all the oil and milk has been pressed out of it and there is no way you could get the same consistency at home. There are recipe’s to make coconut milk from the dried coconut very easily.. if you take the residue and dry it and grind it it should be close. Could I use unsweetened vanilla almond milk instead? I made waffles with this recipe today…THANK YOU! This is the first recipe with all coconut flour that I have actually loved! 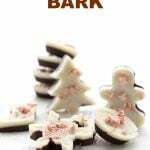 My other recipe uses arrowroot also, but I’m doing Keto so that one was out. You really do have the best recipes! Just made these and the wee taste I’ve taken is gorgeous! I’m a pancake nut and these will be a regular on our low carb table. I used diet soda instead of sparkling water and sweetner and they turned out great! These sound amazing! I’m so excited to try these, I haven’t made pancakes since we’ve cut back on gluten and my kids miss them! I am curious what sparkling water is? I feel like this is a silly question but can I just use water? THANKS! Yes, you can just use water. But they are fluffier and lighter if you use soda water or unflavoured seltzer. I couldn’t remember if I ever commented on these, but we love them at my house. My non-low carb friends also love them. Sparkling water is super hard to find here, so I usually use Coke Zero, which does add to the sweetness and maybe even a bit of pleasantly salty flavor. Today I think we had to use Pepsi Light since that’s what has been available lately. I have made low carb maple syrup for them in the past, but today I had some of the peppermint cream filling left over from making the Chocolate Peppermint Sandwich Cookies from the new Christmas cookbook. We used that instead of syrup since we didn’t have any. Truly, I love the cookies and I love peppermint. The cream was super yummy on the pancakes too! Again, thanks for making the low carb lifestyle so much fun for the foodies at my house. Can I use regular water instead of sparking water? Made these but split the recipe in half. The pancakes looked great! Looked normal and fluffy BUT completely dry. I couldn’t eat them. Maybe I did something wrong or should’ve used another egg? Weird, because these should be anything but dry. What brand of coconut flour did you use? 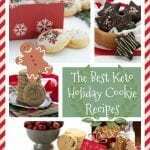 I just made these and they were WONDERFUL!. Not at all dry or grainy like many other LC pancake/waffle recipes that I have tried. They were just a tad eggy, but LC syrup covered up that taste quite well. 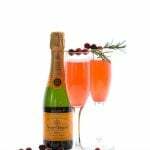 I used lemon lime flavored sparkling water as that was what I had on hand and it worked great. No lemon lime flavor at all. I was going to ask if tonic water would be a suitable substitute as I drink it all the time for the quinine (helps with leg cramps), but I see from some of the comments that others have used diet soda. I have plenty of that on hand too. One question, why do many of the commenters ask about almond milk/coconut milk? Did I miss something in the recipe? I didn’t see or use any. No, you didn’t miss anything. I changed the recipe when I tried it with sparkling water and they got even fluffier! I just made these this morning and they were amazing! They were so light and fluffy. I added a tbsp of shredded unsweetened coconut because I just love coconut flavor, and I topped them with some peanut butter and LC syrup. What a treat! Made these this morning. The recipe is perfect, added an extra tbsp coconut flour after I had cooked a couple. They were so fluffy thick and delicious. Topped with full fat Greek yoghurt. Just awesome. Thanks!! Fantastic. I made these for the second time in a week. They turned out perfectly. This time I sprinkled them with cinnamon in the pan. Yum! Cinnamon is always a good choice! Hello! I made this recipe for the first time today. I did not have any bubbly water so used regular water, which worked just fine. I only used 5 eggs instead of 6 because many Keto recipes are too eggy for my taste. After making and tasting 2 small pancakes, decided it was still a little too eggy for me but the overall flavor was great. NOTE: I added 1 tsp of ground cinnamon to the dry ingredients. After the 1st 2 pancakes, I added another 1/4c of coconut flour, 1/2c of water, 1 TBSP of MCT oil, 1 TBSP of almond milk, and 1/2 tsp of baking powder. The batter was a bit thicker with these revisions but still cooked up great without sacrificing much flavor. I will definitely make these again! I had such high hopes for this recipe because of the reviews. Strangely, I had the total opposite experience. My batter was waaaaaay too thick (and yes I am positive everything was measured correctly). I use Nutiva coconut flour and I had to thin it out quite a bit. The end result was similar to most of the coconut pancake recipes out there..dry but wet. Kind of like if you soaked a piece of cardboard in water. I haven’t found a lot of coconut recipes that work but the effective ones I have found are usually a mix of coconut and other flours because it is just so tricky to work with. I love the addition of sparkling water though, I dont know why I never thought of that and I look forward to experimenting with it. I am going to guess that the Natvia coconut flour is part of the problem. I don’t use anything but Bob’s. Different coconut flours vary by quite a bit in terms of density. Wow, these are excellent. Followed recipe to the “t” and they turned out fantastic. We’d been eating almond flour pancakes and while they are very good, got to the point of overall consuming too much almond flour in our diet! I admire and respect your dedication and great recipes as my husband has Type 2 and I really try to keep both of us on track. I make the full recipe with leftover batter…would that keep overnight? I’ve never tried to keep the batter. It might thicken too much. I make all the pancakes and then just refrigerate those. So glad you like them! I brought coconut flour & coconut sugar for the first time just recently from Sattvicfoods.in and I am going to try your recipe to begin with. They look amazing. I don’t think that I can find sparkling water here, can I use normal water? Can we use reg. water instead of sparkling? Just made these for our afternoon snack. So good! Thanks for a great low carb pancake recipe! I made these earlier today and I loved them! They weren’t very fluffy, but I figure it’s probably because my water wasn’t sparling. The flavor also reminded me of French toast (not mad, though). I also think mine turned out a lot more yellow. Hi. These look great, but can I make them with regular still water instead of sparkling? Yes, it should still be fine. Thank you for your swift response. Also, I’m trying to go keto. I’ve done it successfully in the past, but this time, I was feeling demoralized as the Muslim month of fasting, Ramadan, is coming up very soon, and my experience at starting out fasts with just eggs etc hss not great. They’re fine for breakfast, but for the daily, pre-dawn, pre-fast meal in Ramadan, I wanted a better option. Just tried these babies for breakfast. They are fantastic. Even my coconut-hating husband thought they were great- ‘can’t tell the difference from regular pancakes’ was his surprised comment. While I don’t know if having them everyday would be smart for me, you just gave me a wonderful option for my Ramadan fasts. Thank you so very much !! Oh I am so glad they will help work for the fast! Glad you like them! I did find these had a slightly eggy taste, but when topped with cinnamon, butter and sugar-free syrup they tasted like French toast. Nice treat, thanks Carolyn! Hi Carolyn – will this recipe work in the blender? Thanks! The batter will be great at first but may thicken up a lot as it sits. Just FYI. Am I the only one having problems flipping them!? They are burning before they become hard enough to not break apart and flip!? I’m not stupid when it comes to cooking. Sounds like the heat is too high. Could be your stove or your pan. Try making them no more than 4 inches across….the smaller they are, the easier they are to flip. I have found My LC Pancakes which I sometimes get such a craving for. I used the batter in my waffle maker and they were even better! I’m so excited. I only get this craving every 5-6 months. So what a treat!! Finally, a good coconut flour pancake recipe! Most of the ones I’ve tried so far are so dense and eggy as to not be worth the effort, thank you! Yay, so glad you liked them! Some of the comments and your responses refer to almond milk. I don’t see that anywhere in the recipe. What am I missing? is there a reason for using carbonated water? can i just use regular water? You can use regular but the carbonation makes them a little fluffier. I love making pancakes with coconut flour; I think they taste just as good or better than IHOP pancakes! What’s the reasoning behind the sparkling water? I make waffles from an almost identical recipe, except there is no additional liquid in that recipe (I double the recipe and add 1/2 cup unsweetened almond milk to it because I like a thinner batter). Could I use the almond milk in this recipe, too? It just makes them a wee bit fluffier because of the carbonation but any water or almond milk will do. I made these tonight with Arrowhead Mills coconut flour and lemon flavored sparkling water. They were wonderful! Served them with your wild blueberry syrup and everyone was pleased. Thanks for the great recipes. I’m really enjoying your cookbook! Today is Christmas Eve and all our family is 15 hours away. I was looking for something to help make this day special, since we can’t be with our family. These pancakes were The Bomb! I made them exactly as written, and enjoyed every perfect bite. I made the batter first, then let it sit while I got out my electric skillet and prepped it for the pancakes. Also finished frying the skillet of bacon I had put on while I made the pancake batter. My sparkling water came from my Soda Stream. These were perfect and made our brunch special – just what I was hoping for. Thanks, Carolyn! Another terrific recipe! Glad you liked them! Merry Christmas! Do I have to use sparkling water?? They are so light and fluffy! Love how fluffy these get! Coconut flower scares me a bit but the tips given here and the feedback from others definitely makes me feel like I could make it work. I just received some coconut flour and wasn’t sure what I’d use it for. Now I know! And look at all these fabulous reviews – can’t wait to make these! You can use whatever liquid you want. It’s just fluffier with sparkling water. It made a great waffle! Thank you so much for the recipe! I no longer hate coconut flour! Can I sub maple extract for the vanilla? Fabulous! I’ve made these twice: first time, I had to downsize the recipe because I only had four eggs; didn’t do it quite right so they turned out more like crepes, but the taste was WONDERFUL! Second time, I got fussy with it and beat the whites into stiff peaks, then gently folded them in with the rest of the ingredients. Huge, fluffy, tall, tasty pancakes. Unbelievably good. Can’t wait to make them again! This recipe is great, but the pancakes are impossible to flip. they completed fell apart and dripped everywhere. I even added a bit more coconut flour to thicken them up. They taste great but are a mess to make and came out looking like disfigured blobs. They really shouldn’t be like that. What brand of coconut flour did you use? What size eggs? I make this recipe all the time so I know it works perfectly…something went wrong on your end. I can’t wait to try these! They look and sound AMAZING!! Yum!! Oh these look incredible! I love the option of healthier pancakes! Low carb?!?! I cant wait to try these! This recipe looks so delicious! I cannot wait to try these! Made these for lunch today and they were great! Must be a forgiving recipe as initially I tried to halve the recipe, but put in the full amount of butter and then ended up putting the rest of the ingredients in the mixing bowl and just mixing it up together–but then I forgot the rest of the sweetener and vanilla and sparkling water! So I am thinking next time I will either not put in the full amount of sparkling water or add extra coconut flour. They were absolutely not eggy tasting at all, and only had a slight nuttiness to the taste. Obviously the texture is a bit grainy compared to wheat flour pancakes but all things considered they were good. I topped mine with some extra butter and a little sugar-free syrup. We each had two pancakes and a sausage link, and a couple of blackberries, and we are stuffed! Carolyn, you have done it again!! I received my Dash Mini Waffle maker two days ago and had this afternoon slotted for making waffles from this recipe – and as usual you did NOT disappoint! I did make a tiny modification by making a half batch with two eggs instead of three and adding a bit more seltzer as well as some cinnamon. I now have five 3.5 inch waffles that I will freeze and then pop into the toaster! You are the Queen of Low Carb! Long live the Queen! Now I just need to find a really good recipe for a healthy breakfast sausage and I think I will be eating breakfast for every single meal for the foreseeable future! WAFFLES AND SAUSAGE AND BACON! OH MY! This was my first time cooking with coconut flour, so that’s a disclaimer on my review. The most prominent flavor in these pancakes was egg, which I’m not used to and wasn’t a huge fan of. Next time I might try adding some additional flavoring, like more vanilla or coconut extract, to alter that. Otherwise the texture was great. I added an extra two spoonfuls of coconut flour to get a good consistency to the batter. They also took significantly longer to brown and get stable than wheat flour pancakes, and I think benefit from being cooked at medium-high heat. Tell me what brand of coconut flour you used? That can be a huge part of the consistency. They vary a great deal! I suspect it’s your brand of coconut flour. ALL coconut flour recipes require a lot of eggs to hold together properly but less good ones don’t taste as good. I recommend Bob’s Red Mill. Thanks for this fantastic recipe! I had King Arthur’s Coconut flour in the pantry, doubled the vanill to avoid the kids saying “ugh, all I taste is coconut,” and since my only sparkling water on hand was Dasani berry-lemonade, I ended up with a fun light flavor. Even the kids liked them! This will be my new Keto pancake go-to from now on. “A-ha” moments along the way for me were: the batter was more yellow than I expected and “blobby” before it fully mixed and got smooth; it took longer to get bubbly on top than my usual cream cheese pancake recipe; and flipping these is going to be something I will get better at with time. YUM! This was VERY similar to my experience today! First time trying the recipe, and first time ever using coconut flour for pancakes. I also only had a flavored sparkling water on hand. Very yellow batter – and honestly, I mostly taste eggs! But the texture is great and they were easy to make, cook, and flip. Calling it a winner – just wish I could tone down the eggy flavor a bit (although I do love eggs). It can depend on your coconut flour… what brand were you using? I made these today and they’re a keeper! I love them. I didn’t have seltzer but used unsweetened cashew milk and for some reason only needed half the amount of liquid called for. I funneled the batter into a squeeze bottle and piped them onto a griddle lightly greased wth butter in the shape of animals for my kids. Next time I’ll add some Cinnamon and nutmeg! Also I used kerigold butter which has a great flavor. 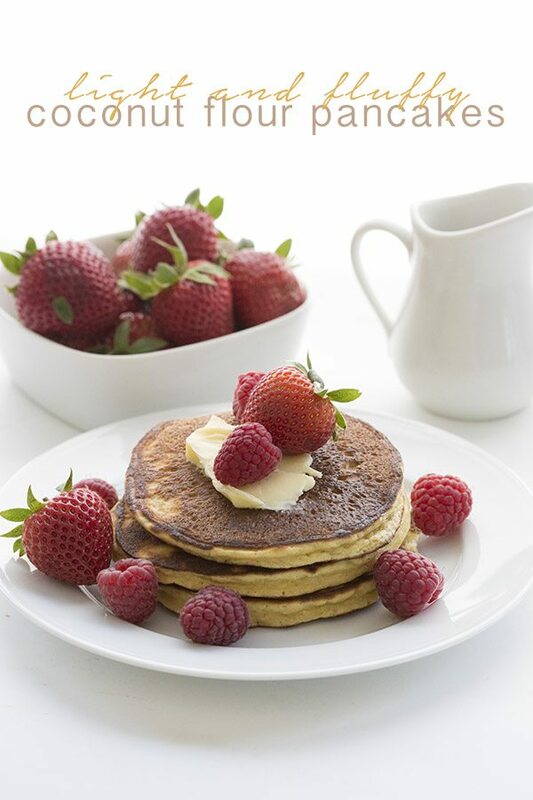 Thank you so much for this new keeper pancake recipe! they were very yummy! They really do fluff up. Definitely will make them again. In a word yum! This will, for sure, be in our regular weekend rotation!